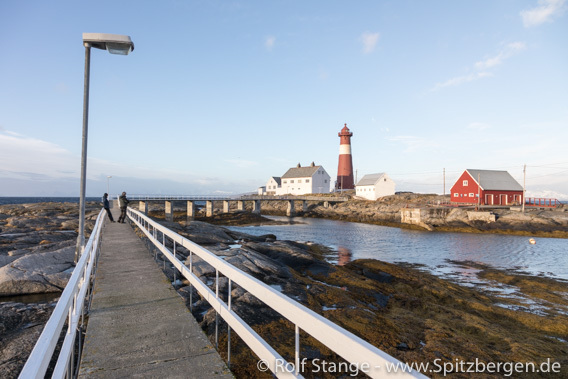 We decide to spend some more time in Tranøy, it is too nice here to leave without having seen it in daylight. As mentioned, you can walk to the lighthouse. It is a walk of several kilometres, but perfectly easy walking and definitely worth it, it is a lovely place on the shore of Vestfjord. Quite windy here today. 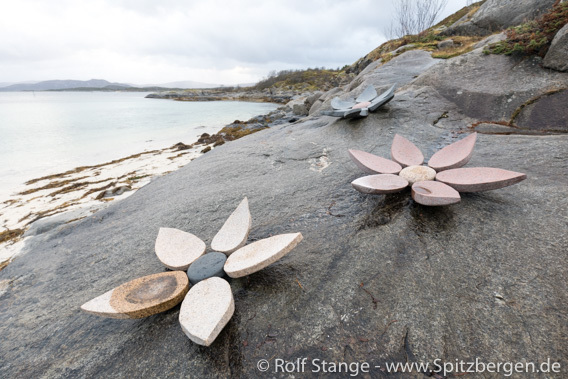 There are sculptures and various pieces of art all over Tranøy. A new sculpture is added every year. You can find them anywhere in the landscape, something that is carved into rocks, flowers of granite, whatever. So you can spend a lovely time walking around, always discovering something. Figures watching out across Vestfjorden, the wind eye, and so on. Beautiful stuff. Some real art, including some stuff that a simple guide like me does not understand rightaway … I was wondering what all the black plates with kind of irregular white crosses were, on the rocks near the shore. Later I found out that there had been photos on the plates, but they had removed the photos. The white crosses were remains of the glue and not art. Well. Later we went across Vestforden under sail. Wind and waves – the wind direction was just good enough to put some sails up. 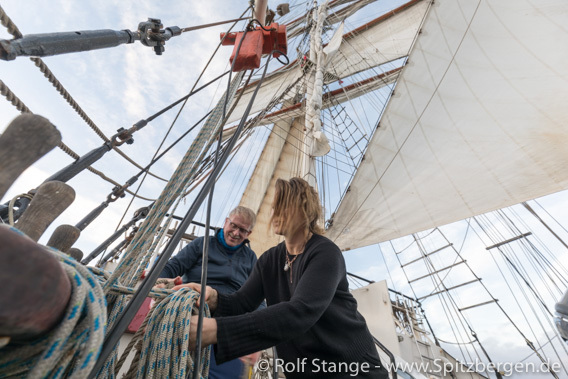 Handling sails on Antigua while crossing Vestfjorden to Lofoten. 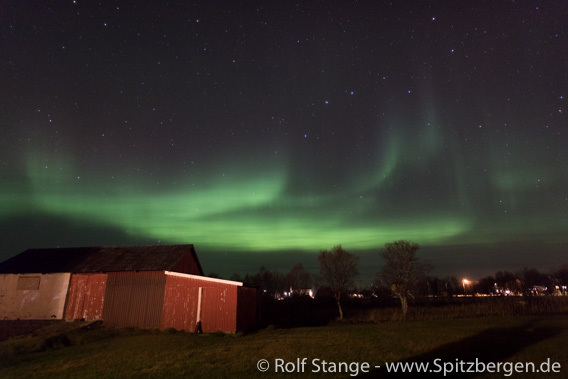 We had great hopes for the evening, wondering if the Northern light centre of Therese and Rob in Laukvik would live up to its name and reputation. Of course we knew that we would get a lot of information about northern lights, but the real thing, the actual Aurora borealis? Yes, we were lucky! The sky was clear, and we got two waves of activity. That made a lot of people happy! There had been activity also during the last days, but what does it help without a clear sky … talk about being in the right place at the right time! Northern light at the Northern light centre in Laukvik, Lofoten.